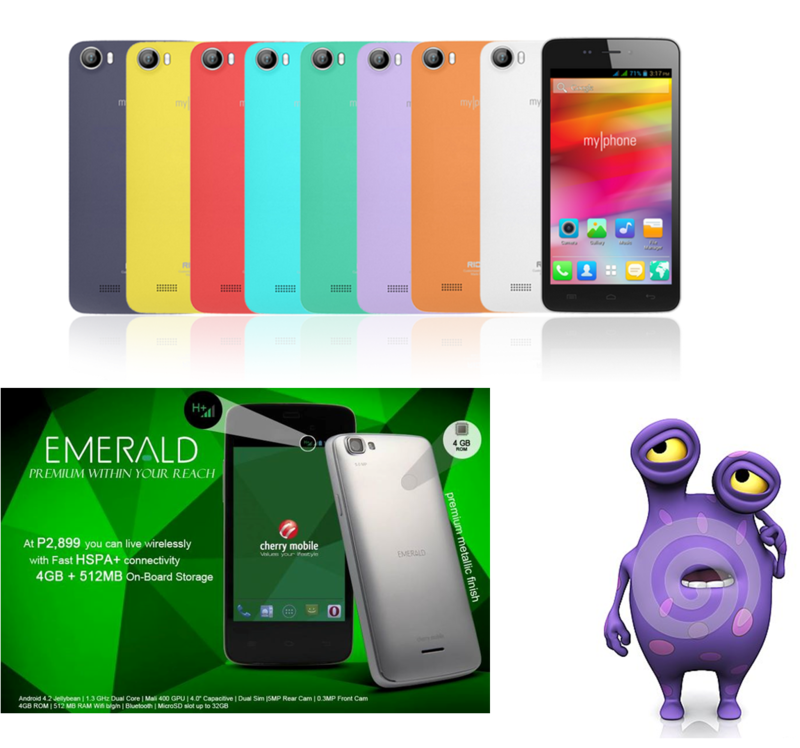 MyPhone Rio Fun and Cherry Mobile Emerald are the two front liners in the sub-Php 3K territory. Both handsets have their own edge over the other and it clouds prospective buyers’ decision. We will give you a clear comparison between the handhelds after the fold. With powerful hardware and rock-bottom price, both smartphones are definitely worth your hard earned money. The Rio Fun has a bigger form factor with its 5-inch screen real estate. On the other hand, the Cherry Mobile Emerald has more beef when it comes to on-board memory. While both have the same 512MB of RAM, the Emerald edges the Rio Fun with its 5-megapixel rear shooter. MyPhone Rio Fun, however, doesn’t have 3G connectivity unlike Cherry’s Emerald phone. 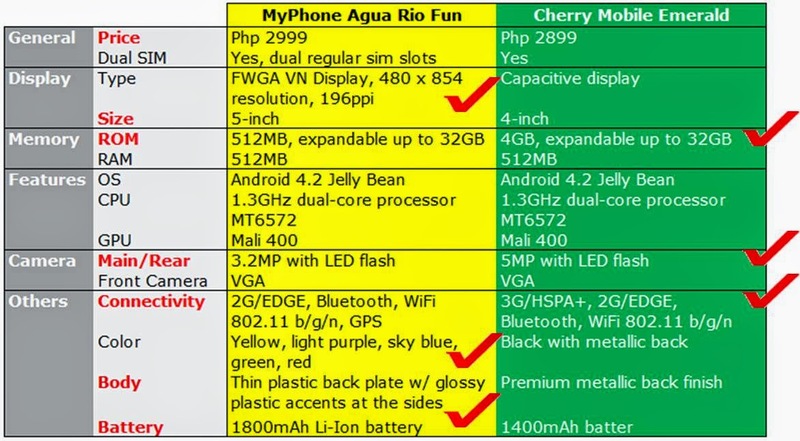 On the brighter side, the Rio Fun has more juice with its 1800 mAh battery compared to the 1400 mAh of Cherry Mobile. If you’re in the market for entry level phones, both are living up to their names. If you’re in for a larger display and bigger battery, the MyPhone Rio Fun is a good option. On the other hand, Cherry Mobile Emerald has 3G connectivity, higher 5MP camera sensor and bigger internal memory.